**We no longer sell fishing or hunting licences!! 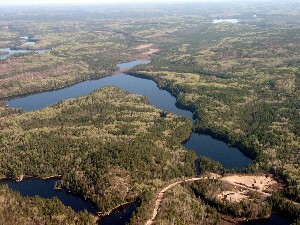 This remote hunting, fishing and area is accessible by road. Hunters and Anglers can stay in one of our fully equiped H/K cabins at the main camp. A firepit is available for all campers. If you prefer to stay in our rustic campgrounds, the campground can accommodate tents, trailers or motor homes. The only thing supplied is good drinking water. The drop camps are located on Maskuti & Alf lakes, both are accessible only by boat, One is available, and newly renovated, the other is under construction. 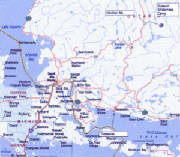 The closest towns are Chapleau to the north and Thessalon to the south. Chapleau is 75 miles from camp and Thessalon is 100 miles. The closest gas is 32 miles, it is wise to gas up in Sault Ste Marie, Michigan just before you cross the border. We have gas at camp in case you run short, but prefer that you bring extra, gas at camp is need for the generator and boat motors, and for emergency use. A boat is supplied with each cabin rental when renting by the week only, you are welcome to bring your own boat and motor, your party should be able to launch the boat by hand. 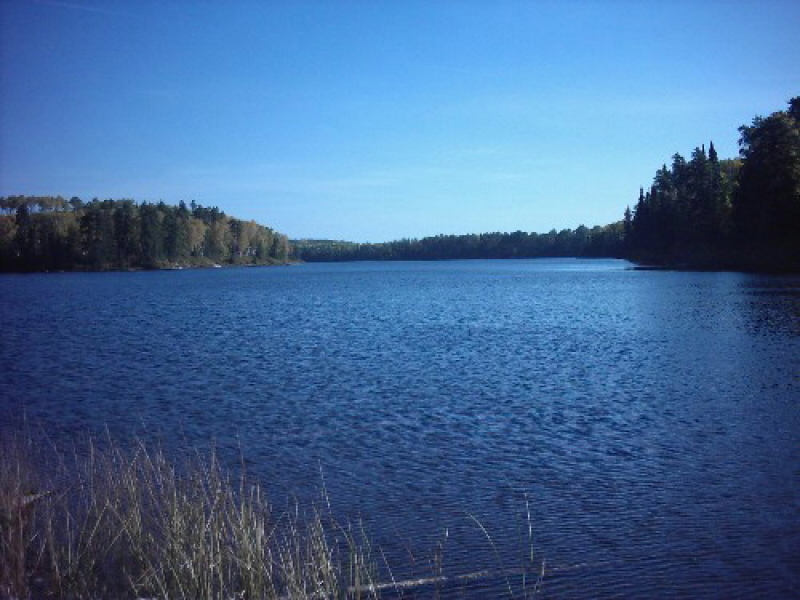 There are no boat launches to any lakes where you can use a boat trailer. The motors you bring should be no more than 5-7 HP. We rent small Honda 4 stroke. Things to bring will depend on what you're doing at ITUKSUM. Generally food, bedding, personal items, rain gear and clothing for the season are the main things. We have a hybrid electrical system, providing 110vac 24/7. Although this power is available for the lights and fridges and pumping the water from the well, the system cannot tolerate heavy electrical loads. Please do not bring, coffee makers, deep friers, hair dryers, plug in coolers, or anything else that consumes large amounts of electricity. Directions from Sault Ste Marie, Ontario. Take Hwy. 17 as you go thru customs. Follow Hwy.17 east to the junction of Hwy 17 and Hwy 129 at Thessalon Ontario. Go north on Hwy. 129 for approx. 85 miles. When you see Hinckler road turn right and proceed 14 miles/20 km. We have a sign on the right at the camp driveway.